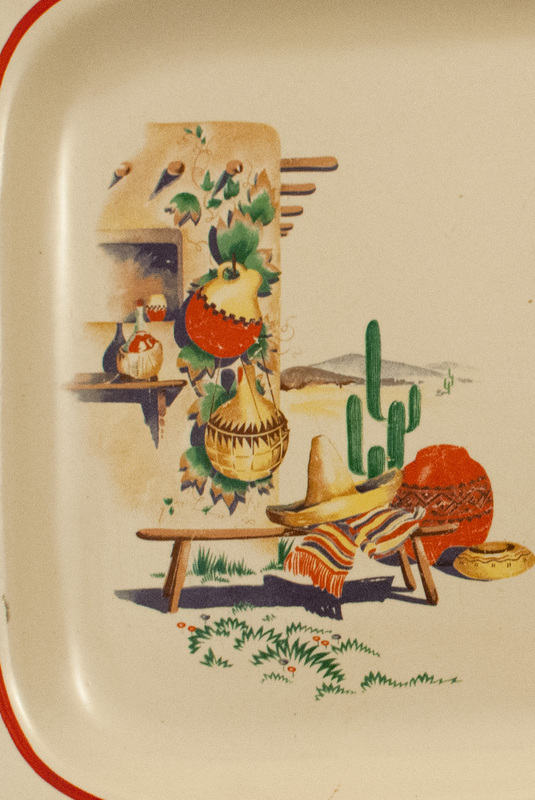 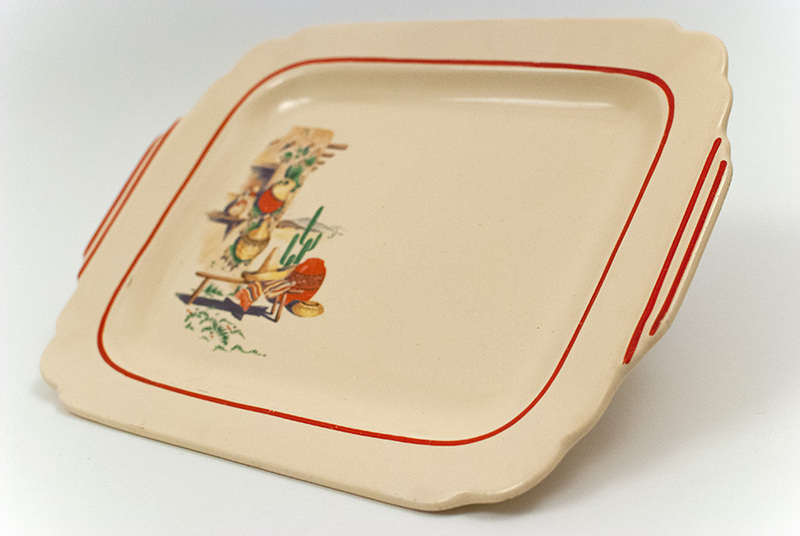 Circa 1933-1944: Homer Laughlin's Century pottery line lended itself not only to Riviera, but to many of their decal ware lines as well. Hacienda, with its cascade of southwestern pots and cacti is second in popularity only to Hacienda. 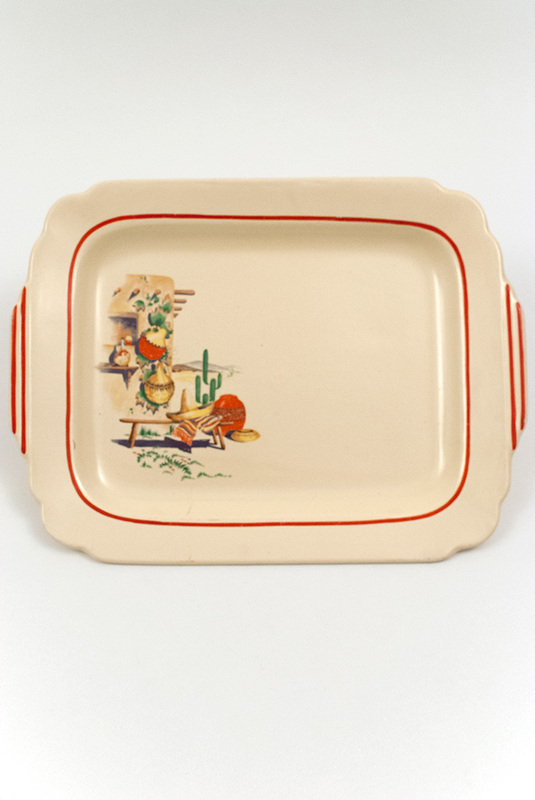 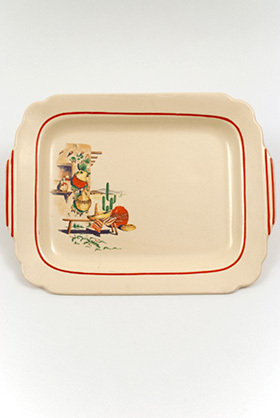 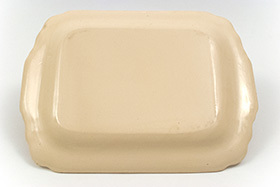 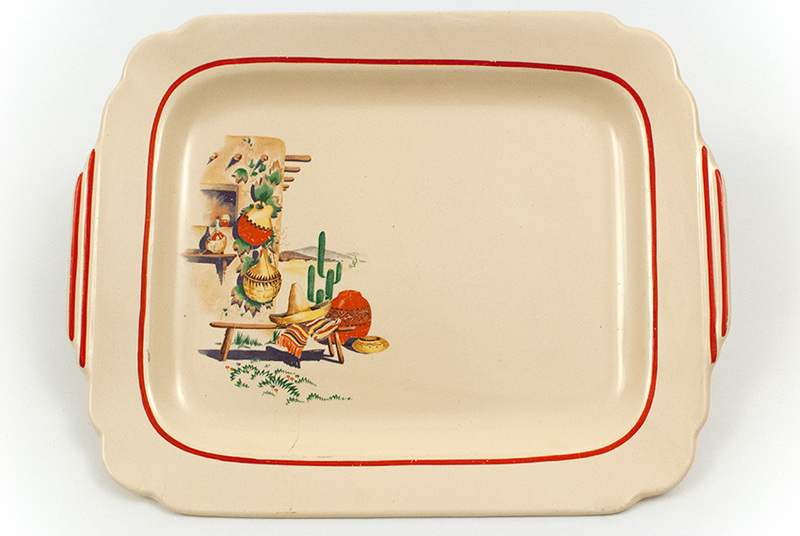 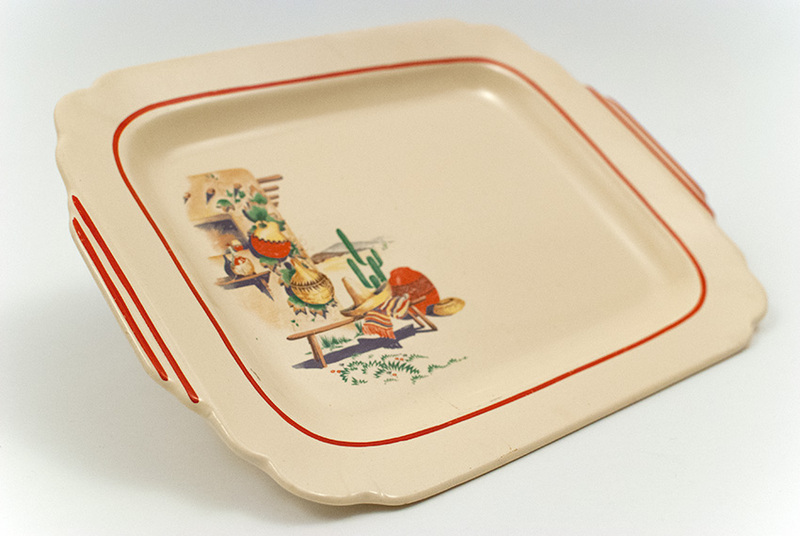 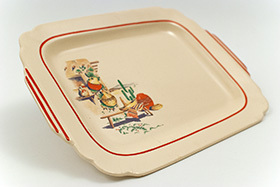 Decalware pieces are extra nice in the batter tray shape with the multiple red stripes hand painted on the tab handles. 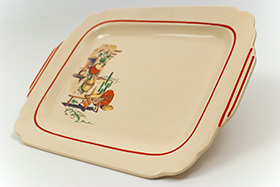 This example is in very good condition. 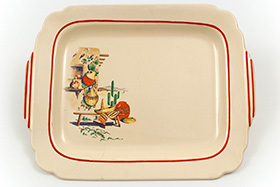 Measures 11 1/2" Long.